In 1940, at the age of 43, Netaji Bose escaped from India. Why? 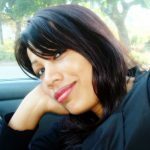 To seek help from Indians settled and working overseas to drive the British out of India. To arrange an army with the help of Japan and other countries to attack the British forces in the Indian soil and free India. He was confident about it. And he succeeded! In just three years, i.e. in 1943 (October 21), Netaji Bose announced the establishment of the Provisional Government of Free India or Azad Hind. Its army was the Azad Hind Fauj (Indian National Army). Location, Singapore! He allied with the Axis powers and his cause was funded by Imperial Japan monetarily, militarily and politically. Netaji was supported in this move by Nazi Germany, Empire of Japan, the Italian Social Republic, and their allies. Many Indians donated for the cause. Initially, in India, Netaji Bose was the leader of the youth wing of the Indian National Congress in his late 20s. He became its President in 1938 and 1939. But his ideologies did not match with Mahatma Gandhi who advocated non violence as well as that of the Congress high command. Bose believed that it was only by using arms that the British could be driven out of India. Ultimately, he was ousted from Congress leadership in 1939 due to this ideological difference. Lord Linlithgow was the British Viceroy of India when the Second World War broke out on September 3, 1939. On the same day, Lord Linlithgow declared India as belligerent and at war. The Congress supported the British on this decision on a condition that India should be declared as a free country immediately after the war. Later the Congress passed a resolution that the issue of India’s participation in war or peace should be decided by the Indian citizens. The British did not pay heed to this resolution. The Muslim League supported the British fully on their war decisions. Meanwhile, Netaji Bose advocated a mass civil disobedience campaign, to protest against the Viceroy’s decision of declaring war on India’s behalf. His strategy wasn’t supported by Mahatma Gandhi and the Congress high command. Thereafter, Netaji Bose organised mass protests in Calcutta calling for the ‘Holwell Monument’ stationed at Dalhousie Square to be removed. ‘Holwell Monument was also called the Black Hole, a small dungeon (prison) where British prisoners of war comprising of Anglo-Indian soldiers and Indian civilians were imprisoned on the night of 20 June 1756. So cramped was the condition of the dungeon that 123 of 146 prisoners died from suffocation and heat exhaustion. Following the mass protests, Netaji Bose was arrested and sent to jail. Later, he was placed under house arrest by the British. He managed to escape to Germany, via Afghanistan and the Soviet Union in 1940. “Netaji Bose was a man of extraordinary will, who had embarked on death defying journeys for India’s freedom across the treacherous mountains of Afghanistan, threatening waves of Atlantic and Indian Oceans, tortuous jungles of Burma – pursued by assassins and the spectre of death. Faced with impossible odds, he was determined to triumph over an undefined future with courage, dignity and honor. 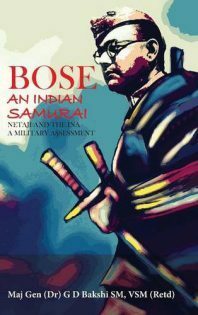 Netaji Bose’s global footprint of India’s freedom movement ranged from the West Coast of North America in San Francisco and Vancouver to the capital cities of European superpowers in London and Berlin and finally to the Asian nations of Japan, Singapore and Burma.” – a quote by Bhuvan Lall, author of The Man India Missed the Most, a book on Netaji. In between November 1945 and May 1946, the British held 10 court-martial trials of soldiers of the INA at Red Fort. Hence, it is also known as the Red Fort trials. A number of officers of the Azad Hind Fauz were considered guilty. 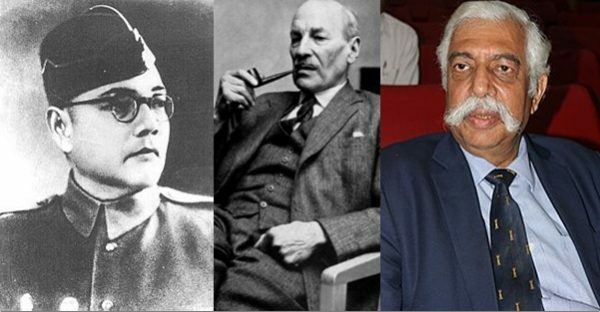 Most of the soldiers who were tried were British prisoners of War who joined Netaji’s INA. The joint court-martial of Colonel Prem Sahgal, Colonel Gurbaksh Singh Dhillon, and Major General Shah Nawaz Khan, who were officers in the British Indian Army and taken as prisoners of war, and who joined the INA, drew sympathy from Indian soldiers posted in the British Army. The British charged them for ‘waging war against the King-Emperor’. There was huge outcry and unrest amid the Indian troops. The outrage led the British reduce the charges against the guilty. 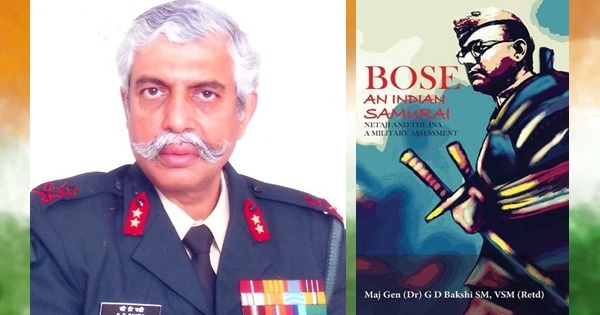 The events of 1946, especially the revolts in the Royal Indian Navy and the British Indian Army, have been described in great detail in Maj Gen GD Bakshi’s book, BOSE: AN INDIAN SAMURAI (A Military Assessment of Netaji and the INA). Netaji Bose’s courage of creating an army and his attack did create terror amongst the British in India. Besides, the INA trials played an effective role in instilling the spirit of patriotism amongst the Indian soldiers in the British Army. They rose in revolt. Uprisings against the British across the length of India from time to time had demoralized the spirit of the British. Who isn’t familiar with the sacrifices of Bhagat Singh, Rajguru, Sukhdev, and many freedom fighters from across the country? All of these factors led the British leave India. So why credit India’s freedom entirely to the soft power of ahimsa (non-violence)? It is time we revive the ardent nationalism of Netaji Bose and acknowledge his role in India’s independence from British rule. Jai Hind! 2. Attlee told Bengal governor, Netaji, not Gandhi, got India freedom, claims book, India Today.